There were three guests at the January 7 meeting: Mary Cherveny (Winnetka Park District); Rick Rivkin (Rotary District Governor Elect); and Patti Long (model and nutritionist). ANNOUCEMENTS: After Mark Kotz gave the thought of the day, President Thomas mentioned that we will be having a joint meeting with the Wilmette Rotary in early March; and that our February 4th and 11th meetings will be a forum for the candidates for the Winnetka Village Board to speak and present their views (three will appear at each meeting); Dirk Tussing and Jean Wright have been Rotary members for 10 and 28 years, respectively. 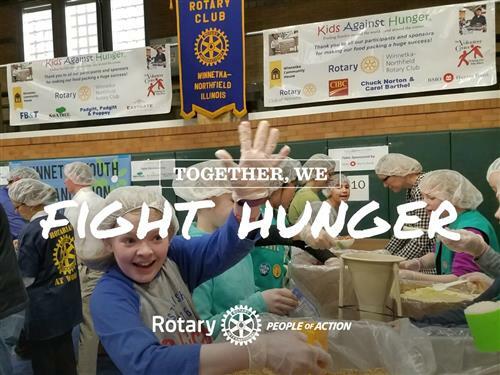 Heidi Sibert reminded the group of the March 12th “ Pack Food for Hungry Children” project at the Community House and that the New Trier student Interact Club is teaming up with Bake 425 (544 Lincoln Ave.) on January 12th from 2-8 P.M. to permit pizza lovers to order pizza from Bake 425 with 15% of the purchase price go to the Interact Club, which is a good charitable cause. Barb Tubekis requested a minute of silence in honor of the four former New Trier students involved in the recent tragic canoe accident (Christopher McQuillen, Lanny Patrick Sack, Mori Weinstein and Patrick Wetzel). SPEAKER WALTER W. REED: The speaker was introduced by David Birkenstein. Walter (originally Werner Rindsberg) grew up in a Bavarian village near Wurzburg and experienced Nazi persecution including his arrest as a 14 year old on Kristallnacht and the loss of his parents and two brothers. He came to the U.S. in 1941, served in the U.S. army from 1943-46, and was an interrogator of German prisoners in Patton’s Third Army. He is a graduate of the University of Missouri School of Journalism and pursued a 40 year in public relations. 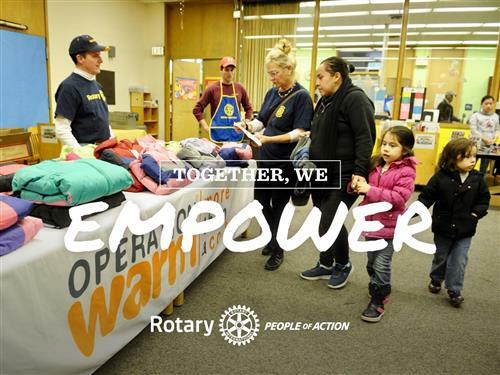 He has been a long time member of the Wilmette Rotary Club, was the Rotary District Foundation Chair and has spoken extensively before Rotary Clubs, and many other organizations, about his WWII experiences. He has spent 10 years reviewing records and files from many sources, including his own recollections, in writing his recent book entitled “The Children of La Hille (Eluding Nazi Capture during World War II)”. He said that it is now available on Amazon. He passed out a very good one page summary of the book and it appears to be a very important and informative book for all ages to read. Mr. Reed pointed out in his presentation that out of the six million people exterminated during the Holocaust, one million were children. His book tells about the escapes of some 100 Jewish children from Germany and Austria—first to Belguim in 1938, then to southern France when the German Wehrmacht invaded the western countries in May 1940. He mentioned the many heros involved in saving all but 11 of these 100-plus La Hille children—Max Gothschalk and his daughter Pat; the Swiss Children’s Corps; Marguerite Goldschmidt who convinced the Swiss Children’s Corps to take on the responsibility of saving the Children of La Hille; Lilly Feldegen, who was responsible for getting Mr. Reed to the U.S.; Marshall Field of Chicago who got about 100 children out of the European war zone and transported to the U.S., including 17 of the La Hille children; and most important of all the parents who turned their children over to others knowing that they would probably not see them again. Mr. Reed put his childhood experiences behind him for about 50 years until he realized the historical importance of telling this story about the effect of war on children. He not only researched and told this story, but he has visited Europe many times to talk to the survivors of the Children of La Hille and their families. There were 30-40 survivors still living when they met for a reunion in 2000. The French government attended this reunion and erected a special monument in honor of the Children of La Hille. Mr. Reed will be making a presentation on this and other parts of his life’s story at the Holocaust Museum in Skokie on January 17th at 1:30 P.M. Everyone should have the experience of listening to Mr. Reed speak and reading his book. We were honored to have him speak at our Rotary meeting.